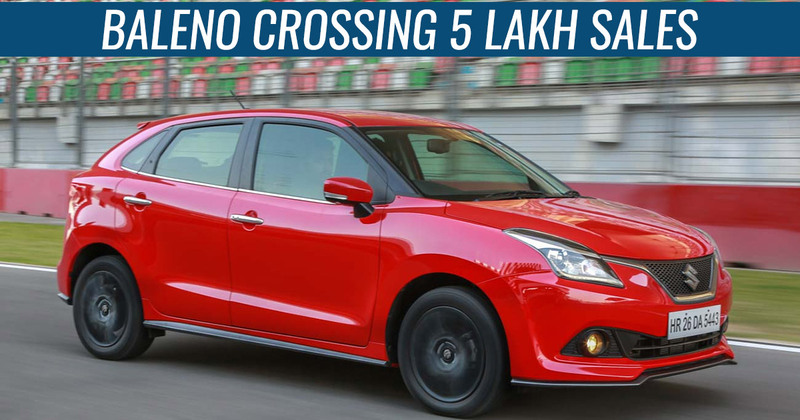 Maruti Suzuki has set a milestone in the sales of Baleno hatchback which has crossed the 5 lakh sales in 38 months which is sure to be celebrated and is the fastest model who has reached this mark. This was announced before few days after the Swift crossed more than 2 million sales since it was launched in India in 2005. The Baleno which was launched in India in 2015, which set a milestone by selling approx. 13,157 units per month i.e. 438 units per day. Maruti Suzuki Baleno is continuously at the top 10 sales rate. “The Baleno has become a resounding success in the highly competitive premium hatchback segment. It is a testimony of our best-in-class technology and customer experience. Our engineers have ensured that the Baleno offers superior ride and handling, class-leading performance and safety. With a staggering 20.6 percent growth in the first half of 2018-19, the Baleno has been among the top selling cars in India since 2016” said R S Kalsi, senior executive director, Marketing & Sales, Maruti Suzuki India, commenting on the milestone. With an 83hp, 1.2-litre petrol engine and a 75hp, 1.3-litre diesel, the Maruti sells the Baleno from its Nex outlets. The 5-speed manual is available for both the variants and as an option, the petrol gets CVT automatic. The model defeats the rivals- Hyundai i20 and Honda Jazz. The Baleno is the first car to be exported to Japan from India as it is exclusively manufactured in India. In Europe, East Asia, Australia and Latin America, it has received a positive response.